Hawaii’s Mountains – Here’s a link to the live webcam on the summit of our tallest mountain Mauna Kea (nearly 13,800 feet high) on the Big Island of Hawaii. Here’s the webcam for the 10,000+ feet high Haleakala Crater on Maui (The camera is working again). These webcams are available during the daylight hours here in the islands, and at night whenever there’s a big moon shining down. Also, at night you will be able to see the stars, and the sunrise and sunset too…depending upon weather conditions. Broad Brush Overview: This first day of spring will bring fair weather conditions to the state through tonight, as an area of high pressure remains anchored far to northeast of the state. 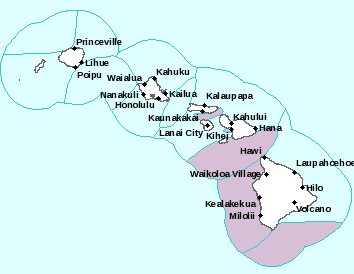 The trade winds will increase Thursday and Friday, as yet another cold front approaches from the northwest. 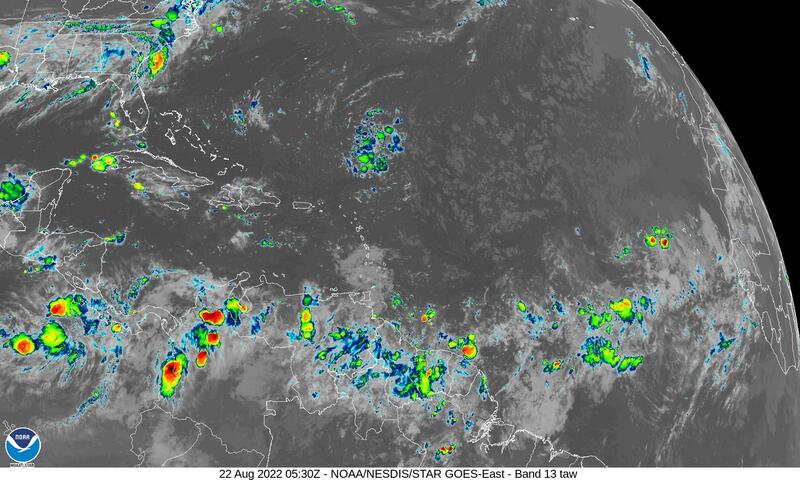 This front will be close enough to bring increasing clouds and showers across the island chain this weekend. Details: The area of high pressure northeast of the islands, combined with stable conditions aloft, continues to bring somewhat drier than normal conditions to the state. The high is expected to move eastward, and the pressure gradient over the islands will weaken…causing our winds to diminish. As we push into Thursday, a cold front will move closer to Hawaii, and in turn increase winds once again. Looking Further Ahead: Models show the front’s shower band coming close to Kauai Saturday, and then stalling. 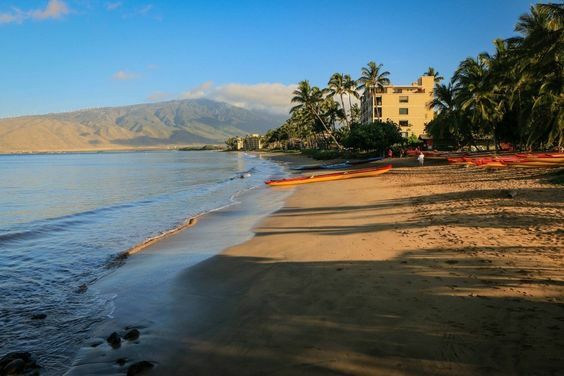 Trade winds and moisture are expected to increase along and ahead of the front. This will prompt an increase in showers, favoring windward areas. Sunday will see surface high pressure building in , as an upper trough approaches the islands. Look for windy conditions due to the high, and trade shower activity due to the upper trough. 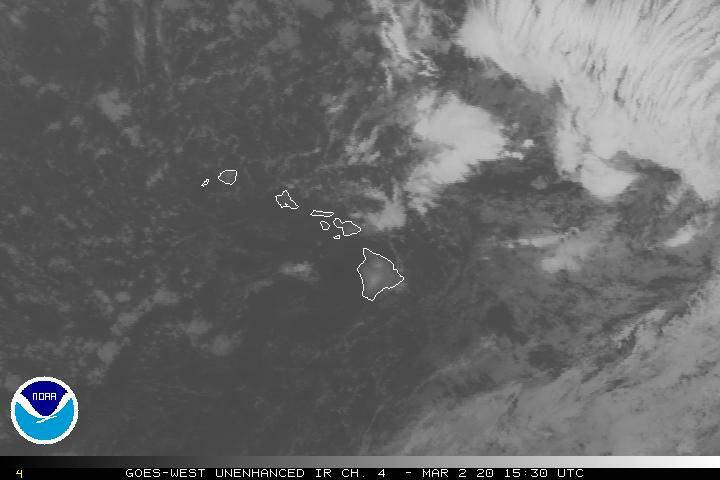 The trough is expected to push through the islands Monday night…leaving a drier trade wind pattern in its wake. Marine Environmental Conditions: A brief period with light to moderate trades will continue into tonight, as the ridge remains near the area. Land and sea breeze conditions will continue through this time near the coasts. A return of moderate to strong trades is expected Thursday through the weekend, as high pressure builds north of the area. A combination of overlapping north to northwest swells and wind waves, rising from the strengthening trades will lead to Small Craft Advisory (SCA) conditions over exposed waters late Thursday through the weekend. Seas may reach advisory levels over exposed waters by tonight due to a large northwest swell expected to build down the island chain. Surf along north and west facing shores will remain up through the weekend, as the active pattern across the north Pacific continues. A series of north to northwest swells is expected, the first of which will peak tonight. A reinforcement is expected Friday with its peak Friday night into Saturday. 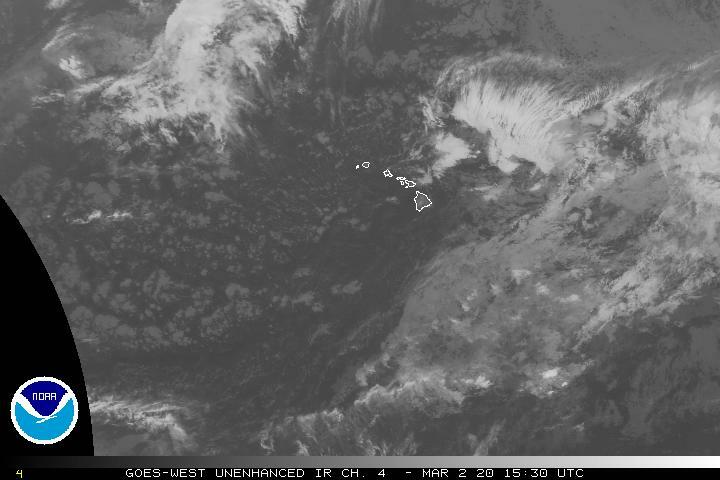 A similar swell is expected to build down the island chain Sunday, then gradually ease through Monday. Surf will climb to and above advisory levels, likely remaining at these levels through Sunday. A moderate northerly swell will be possible next Monday night through Tuesday, which could bring the surf back to advisory levels for north facing shores. Surf along east facing shores will remain small through Thursday, then rise Friday through the weekend, as stronger trades return. Surf along south facing shores will remain small with southerly pulses moving through. Interesting: What Is the Toothiest Animal on Earth? 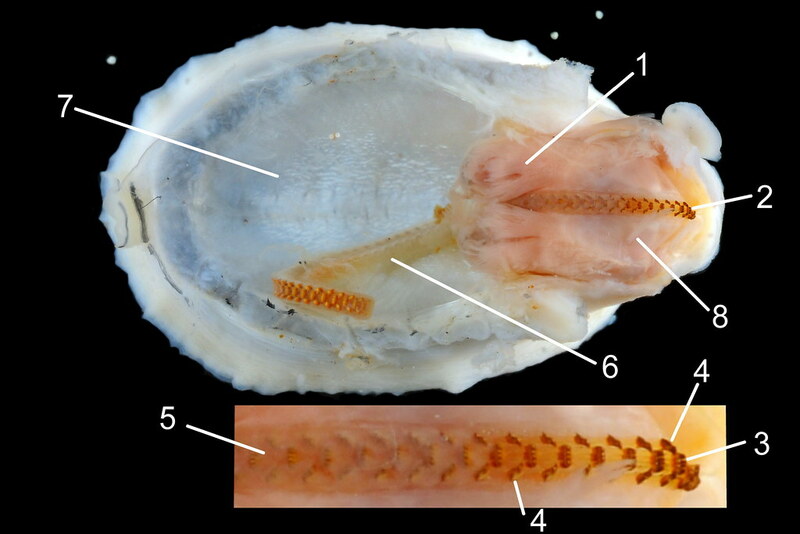 – Peek inside a few animal mouths and you’ll see evidence of evolution’s finest work. Take snakes, whose teeth are needle-thin and spiked with venom — excruciatingly efficient instruments for killing prey. Or walruses, which use their massive teeth like ice picks to haul their heavy bodies along the ground. In hagfish, hook-like teeth that line the gullet are ideal for macerating the flesh into which they burrow, headfirst. But, fancy fangs aside, when it comes to numbers, which animal on earth boasts the most? As it turns out, there’s some stiff competition for the title of toothiest creature, depending on where you look — and what you define as a “tooth.” Here are some of the best contenders. Deep in South America’s rainforests, the giant armadillo (Priodontes maximus) tops the land mammal tooth count, at 74 teeth. That number may not seem wildly impressive, but it’s high for mammals, who are actually some of the least toothy creatures on Earth. There’s an interesting reason behind this. Most mammals are ‘heterodonts,’ meaning their teeth have more than one shape and are complex, enabling precise interactions between the upper and lower jaw. This equips mammals to really mash up their food, which increases the food’s surface area and enables them to absorb more energy and nutrients. “Fewer teeth mean[s] they can focus on very precise types of contacts, and interactions, between opposing teeth” and thus maximize on energy consumption, said Peter Ungar, a paleoanthropologist at the University of Arkansas who studies how mammal teeth evolved. But, unlike other mammals, giant armadillos are homodonts, meaning their teeth are less complex: “At the front, their teeth look sort of like sharp chiclets. Towards the back they look like pegs,” Voss said. These simpler gnashers suit a diet of soft-bodied vertebrates, which require only a little crushing to release energy. “Think of it like bubble tea: You don’t really need to chew those knobs up,” Voss said. Evolutionarily speaking, having simpler teeth means more can fit in the mouth. Add to that the giant armadillo’s long jaw, and the combination explains why these mammals are able to pack in more teeth than most. Giant armadillos, however, “can’t hold a candle to some fish, which can have hundreds, even thousands of teeth in the mouth at once,” Ungar told Live Science. That revelation takes us plunging into the ocean — and into the jaws of requiem sharks, which are most likely the toothiest of all vertebrate animals, according to Gavin Naylor, director of the Florida Program for Shark Research. This comes down to their rotational teething system — a smart biological hack that all shark species have. Instead of just one line of teeth rooted in the jaw, sharks grow multiple rows inside their mouths. These are tethered only to the skin covering the jaw, allowing them to move forward to replace lost teeth. Asked why sharks have this system, Naylor said, “I think a better question is, why don’t we? No dentist required!” Crucially, this perpetual conveyor belt enables sharks to replace the teeth they frequently lose in ferocious battles with their prey: “Teeth are important for feeding, so replacing them continuously could confer tremendous advantages,” Naylor said. So, what kind of numbers are we talking about? At any given time, requiem sharks will have a few hundred active teeth in their mouths. But over the course of their lifetime, “estimates suggest some species of requiem sharks may grow and shed 30,000 teeth,” Naylor told Live Science. That’s threefold more than the great white (Carcharodon carcharias), which goes through about 10,000 during its lifetime. And yet, that’s still overshadowed by one small creature whose toothiness outstrips us all. Peer through a microscope inside a sea slug’s mouth, and you will find a forest of spikes so fearsome that they could be the inspiration for Ridley Scott’s 1979 film, “Alien.” These are slug teeth, and some species have several hundred thousand enclosed within their mouths. As for the species that takes the ultimate prize for most teeth: Those are the umbrella slugs (Umbraculum umbraculum), colorful sea-dwelling slugs that go through an unbelievable 750,000 of these chitinous teeth in a lifetime. Mahalo for the science lesson on teeth…interesting! ~~~ Hi Jay, glad you enjoyed the read! Thank you to the folks who restored the Haleakala webcam. I missed my morning sunrise. Glenn I hope all is well with you and your mom. ~~~ Hi Mary, indeed, we all appreciate the webcam being fixed, and putting out the great pictures of the Haleakala Crater again! I am well, and so is my Mom…thanks for asking. Hi Glenn! 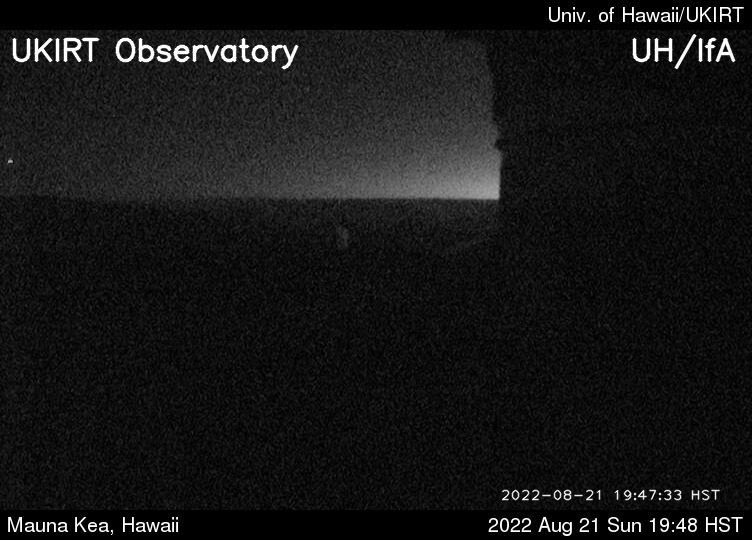 I just discovered the Haleakala webcam is back up and running. It looks beautiful up there! Thanks to the people that fixed it. It looks clearer than ever. 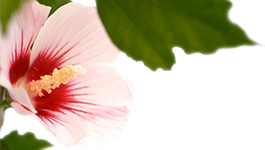 ~~~ Hi Helen, thanks for letting us know that the Haleakala webcam is up and running again! Indeed, it looks great to see the inside of the Crater again!